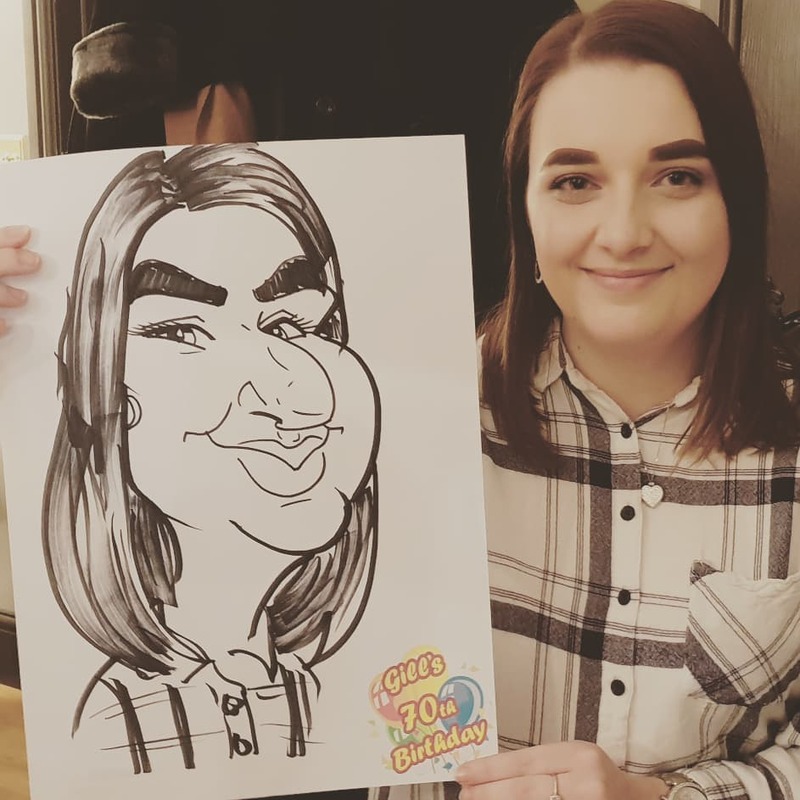 Hola Hello and welcome to another Caricatures for Birthday Party Entertainment. 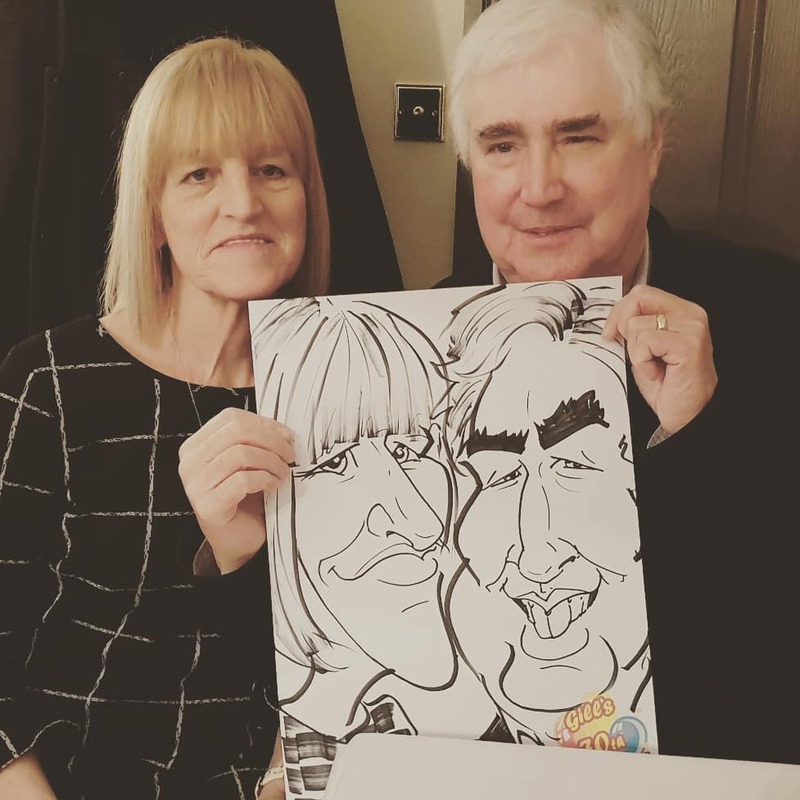 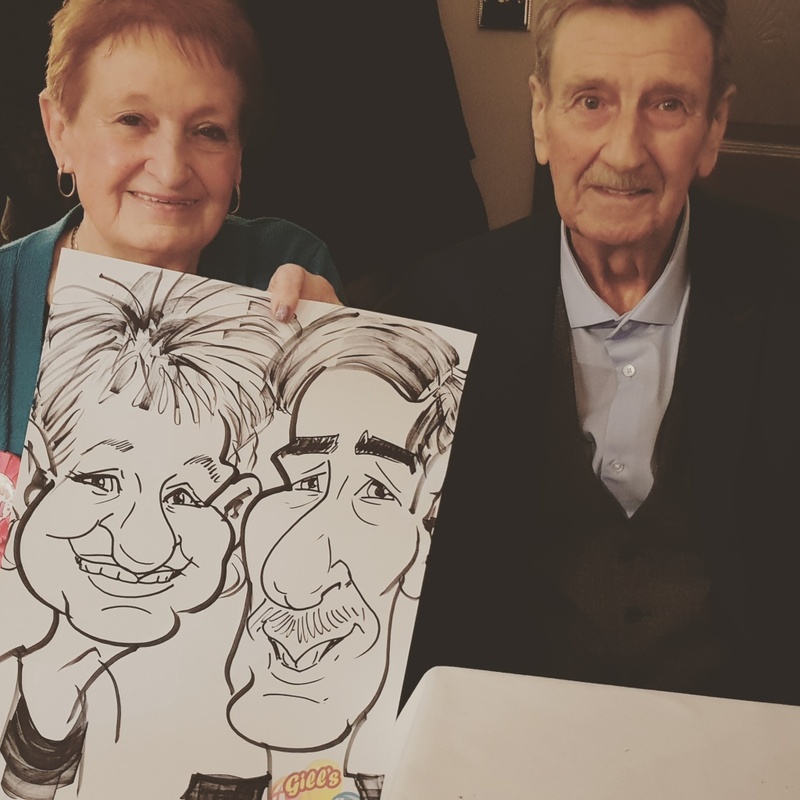 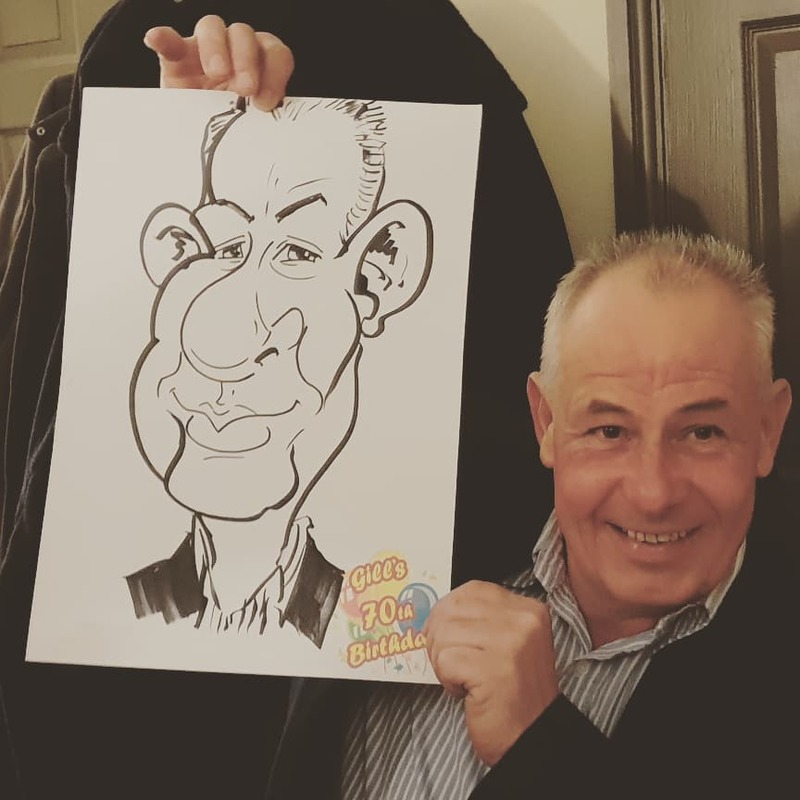 This time I was in Redditch drawing Caricatures at a surprise 70th birthday party at The Orangery. 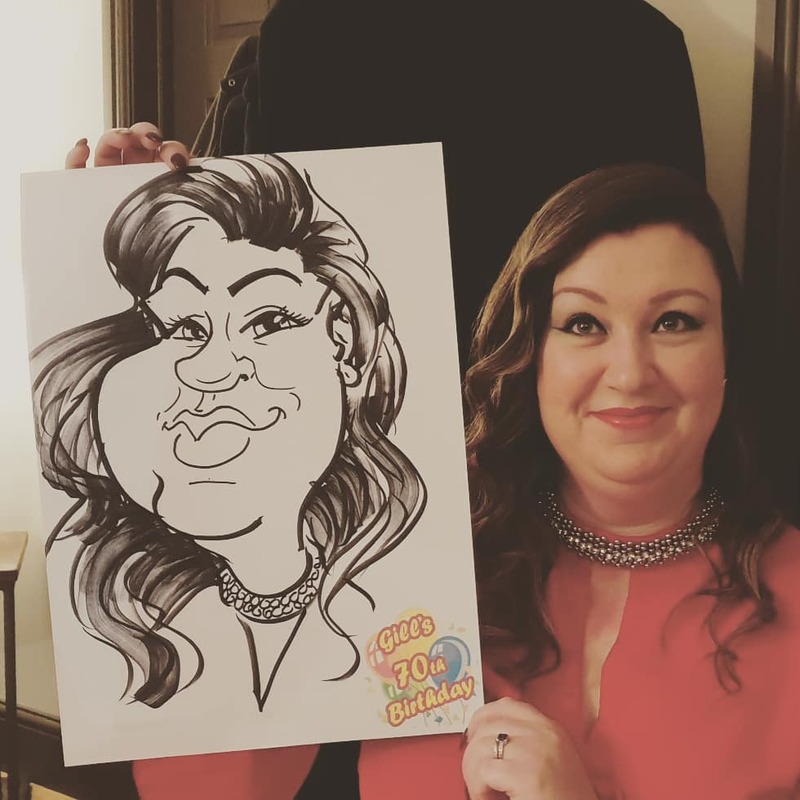 Below are a few Caricatures I managed to snap during the night.. 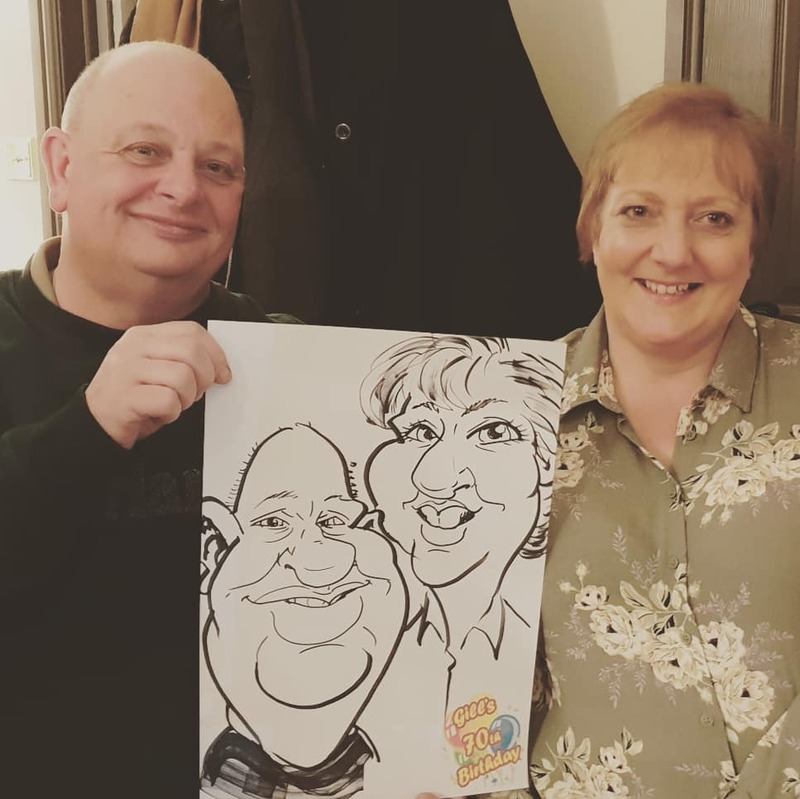 It was a fun night and a great crowd. 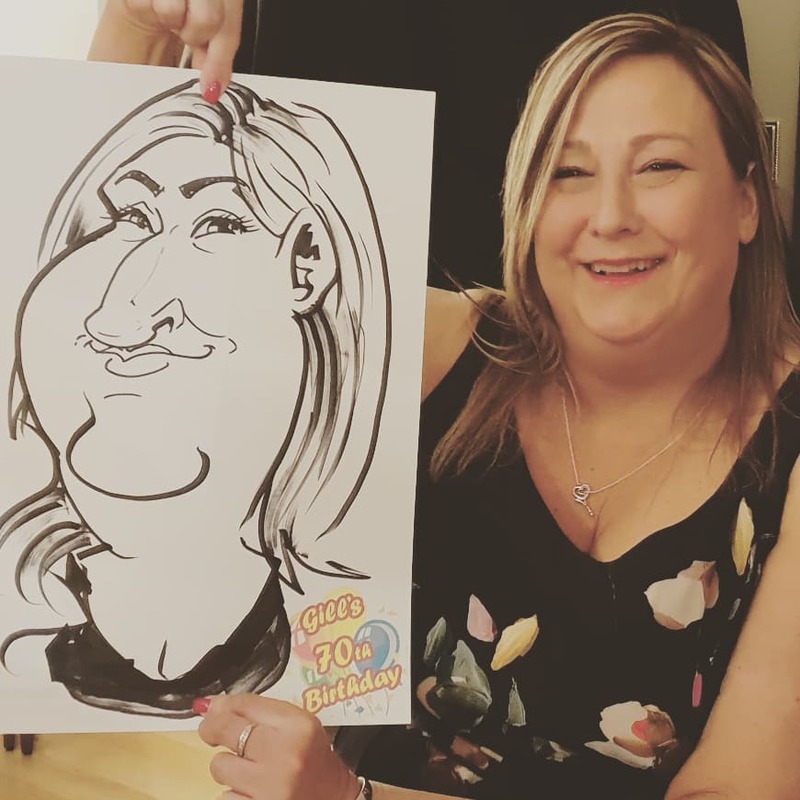 Thank you to Corrina for booking me and for your glowing recommendation on my Facebook page. 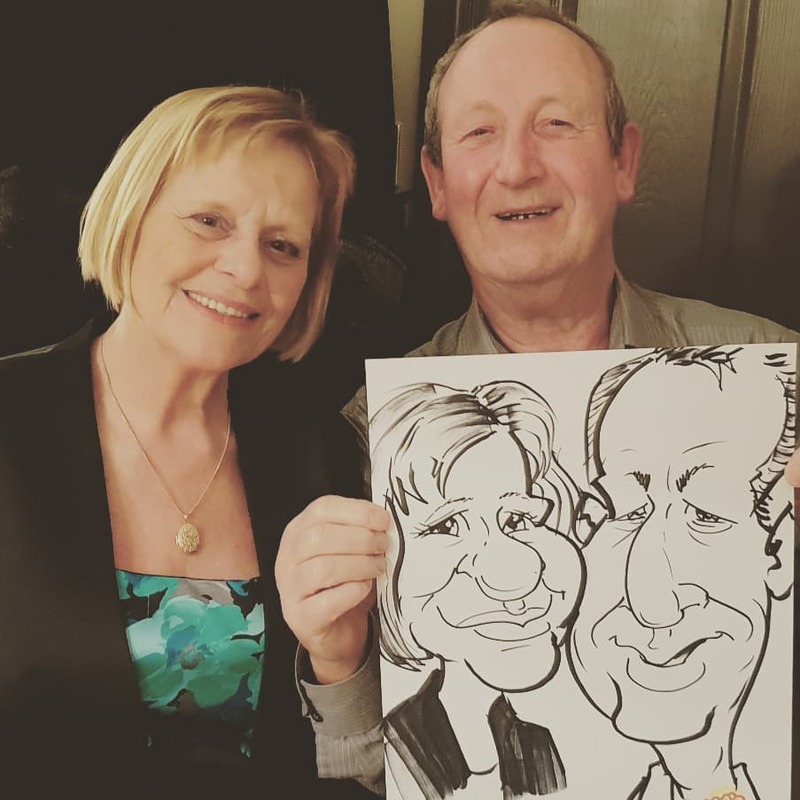 I am glad to of helped you out last minute. 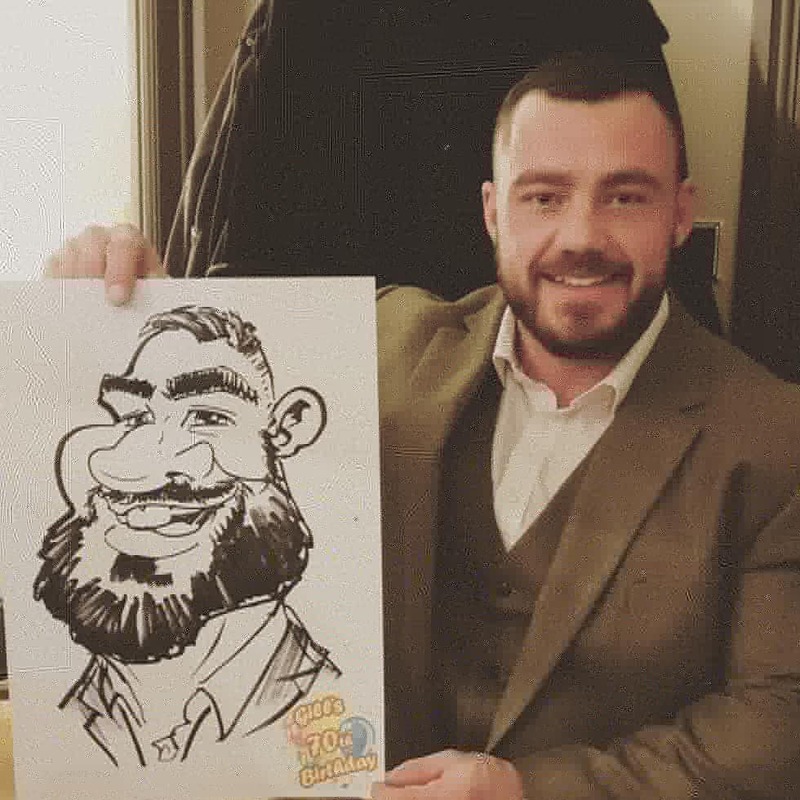 If you’re looking for some birthday or any kind of party entertainment then drop me a line with the details.